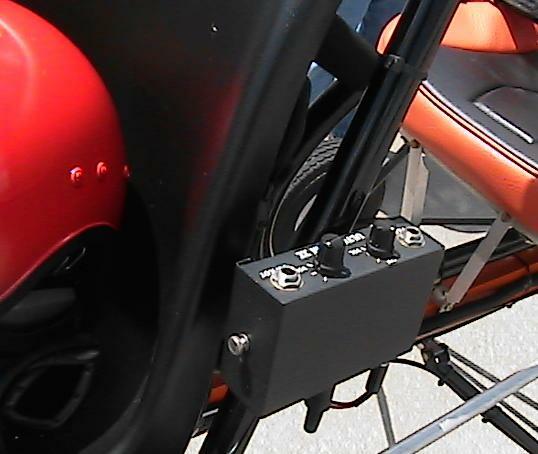 Audio control unit used on an open frame gyroplane. Even small gyros need instruments, and avionics. As if you didn't know this wasn't coming. How is it? Sooner or later we all have to face the piper. Now is our time. I will give a couple ideas that may help reduce your costs but there are risks involved. If you cannot already tell by the tone of the words, outside of the kit you will probably spend a majority of your "other" money on avionics and navigation equipment. I know that I have a few of you out there that are foaming at the mouth for this section, as you are ready to put all the cool stuff in your instrument panel. So no matter the category of avionics shopper you are- this is something ya gotta do, so let's embark. If you don't know what avionics are, they are various electrical transmitting, recieving and informational display componets specifically designed to meet the rigors for use in flight. Sometimes when we see the prices of these components we get sticker shock. What are we paying for to generate these kinds of prices? Unlike a majority of electrical items found in your home aircraft electrical components have to stand up to a much harsher environment. The stuff in your home is protected from extreme heat and cold and a good amount of moisture simply by being in your house. This means the internal parts can be more cheaply built and still have a certain amount of dependability. Your aircraft electrical items must be able to withstand high temperatures both in the aircraft and in its confined mounting but also in a hot Florida hanger to Canadian cold. The dry Arizona desert to the humidity of the Caribbean. 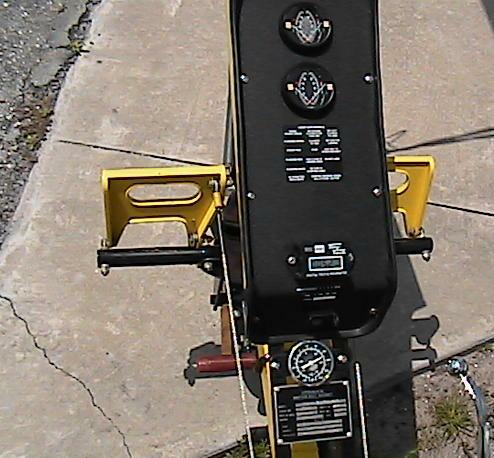 It is a mobile unit that has to take the abuse of multiple landing shocks. Ever try that with your plasma TV? If that TV cost a couple of thousand dollars then what would you pay for reliable aircraft communications and navigation equipment? Those radios and equipment are your link to the world and the aids to help you when the chips are down. I guess when we put things in perspective and we see what is required of our equipment then we can begin to understand the prices, appreciate what they do and honestly how well the do their job and are so dependable. So don't get mad at the prices. You really are getting what you pay for here. I have some tips that I have used or seen others use to help reduce some of the cost of their installations. I am not a big fan of hand held units as there are some very small panel mounted radios and control heads available but also understand it is all about budget and person preference. I just have never seen a handheld have the sound quality of a panel mounted radio. So maybe these tips can help you. COST SAVING TIP: Look for used equipment. The same day that money was put down on the kit I found a used avionics dealer at the airshow with a wide selection of LORAN units. I asked if the units were bench tested and was told yes. I then asked about return/warranty. The sales person had a thirty day warranty and an exchange program for returns. I picked up his buisness card and paid fifty dollars for a 618c Loran. Of course the moment of truth came when I completed the instrument panel and powered up the LORAN. It worked perfectly. You may or may not have the same experience or luck as I did. I mean I spent a half hour looking over all the units before settling on the one I purchased. I also reasoned that if I am out fifty bucks it isn't that hard of a loss if in a worse case senario they fail to exchange it.Unfortunately LORAN has been shut down but used equipment can be a big money saver. COST SAVING TIP: Look for reconditioned units. Some avionics installers have used or reconditioned units that have come out of other customers' panels as they have been upgraded. There is probably some type of warranty on the equipment, which is good, but they may also only sell them to you if they do the installation. Some shops may just sell you the unit outright to get it out of shop inventory. COST SAVING TIP: You get what you pay for. For the time being let us take features out of the picture. Take a transponder as our example. Why is one more expensive than another to do the same job? Quality electronics cost money. The quality of the internal components equates to dependability. Cheap transponder= cheap components= a unit that is less durable. A transponder was used for our example but this holds true to all avionics. COST SAVING TIP: When selecting avionics, look for models that only have the features you need. What good is a GPS that can connect to an autopilot when you have no autopilot? A more basic model will do what you need and be much cheaper. COST SAVING TIP: Buy your avionics from established companies. They tend to be more customer friendly in all aspects of their business. They also know an aircraft will likely get upgraded at some point and they would like your return business and the business of your friends. That is about all the cost saving help I can offer in this area. There are of course advantages to new equipment. New units are under warranty. It is new and the internal components are new, clean and free of corrosion. Good avionics will outlast your cloths dryer if properly taken care of. While the initial investment is high, avionics are a long term durable item. Avionics also constitute a major portion of the selling price of any aircraft. Audio panels or intercom systems allow for cockpit communication (pilot talking to passengers and crew), selection of what radios are monitored for recieving and transmitting, selection of integrated volume control for transmission and reception. A quality audio panel can really make a difference in the quality of what you hear. A high-end headset or helmet cannot compensate for poor audio input. *#*! in *#*! out. Audio panels even have built in entertainment systems with CD players that will cut out when you have to transmit or recieve instructions on a monitored frequency. Transponders are required to fly into Class B airspace along with a working radio. Transponders send out an identifier code so air traffic control can identify you, your course, speed and altitude. If you do not fly or intend to fly in Class B airspace then you may not need to install a transponder. Encoders are small lightweight units that interpret your barometric altitude into a format that the transponder can use to send out to air traffic control. If you need a transponder then you will need an encoder or an encoding altimeter. This provides what is known as mode c.
An emergency locator transmitter or ELT is a small device that will send out an emergency signal if the aircraft recieves a substantial G load to set off the switch, as in an aircraft accident. This will initiate emergency operations for search and recovery of the downed aircraft. You already had a bad day in the incident why make it worse when the calvary cannot find you to bring you the help? If you are incapacitated how can you help your passengers? Be smart, fly safe. A transceiver is a communication device that incorperates both a transmitter and reciever in one unit. Communications for civil aircraft is in the very high band frequency or VHF range. To have full ATC services available to you; you will need a 720 channel transciever. The older versions of transcievers are 360, 180, 100, and 90 channels. There has been some talk in the industry to require all aircraft radios to be of the 720 channel variety so keep abreast of that possibility during your build. A NAV/Com can be used in place or in conjunction with a transciever and is explained in the Navigation Equipment page. Shop, compare pricing and note the cost, features and vendor on your shopping list but hold onto the list, as there are still other items you may need or want. Do not forget to include antennas for the radios, wiring and circuit breakers to your list. Flip on over to Navigation Equipment.